Telemarketers and Chefs. Now there are two roles you wouldn’t think would feature in the same blog, right? Well, funnily enough, there are actually a number of similarities about how they go about their jobs to deliver what their clients want. Take a look below at some of the lessons cold-callers can learn from the best chefs. Like most things in life, if you want to succeed you have to prepare. This is especially true when it comes to working as a chef. 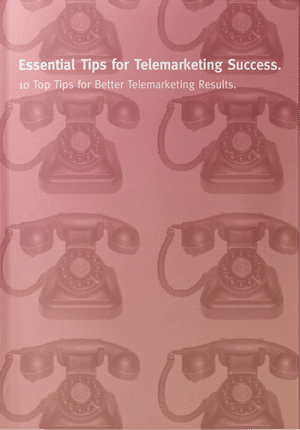 It’s equally valid if you want to see success in your telemarketing campaign. The fundamentals are essentially the same. Working as a Chef you are only as good as the ‘Mise En Place’ you’ve prepared during the quiet hours of the day. This will essentially determine how successful your service is, whether you sink or swim when the heat is on and whether you walk out at the end of your shift with your head held high knowing everyone has gone home happy and full. Or it’s the feeling of guilt knowing you let your colleagues and customers down, didn’t serve up the quality of food and presentation that was expected and damaged the customer experience in the process. The result? The restaurant patron almost certainly won’t give you another try. Failure to prepare in this sense will mean potential business will slip through your fingers or worse you could damage the company’s brand reputation which may result in lost long term opportunities. Quality ingredients generally mean more flavoursome food assuming the chef does his or her job properly. When we think about ingredients in B2B telemarketing, we’re talking about the different components which are necessary to have a successful cold calling campaign just like the elements that come together to produce a tasty, wholesome meal. First and foremost, like before any good restaurant sitting, a proper team briefing is required. That needs to be ‘prepped’ before any calling takes place. If you don’t know enough about the product or service you are talking to clients about and the specific benefits, why would anyone take you seriously and consider you or your business? The same can be said for who you are targeting. You can spend days trying to reach someone and getting nowhere only to find out later that they are actually irrelevant in the decision making process. Data is the raw ingredient for B2B telemarketing and Lead Generation. It’s the bread and butter if you like! In a perfect world, data would always be fresh. Unfortunately this isn’t always the case. However if you go to the right provider, you’ll get a better quality than using ingredients from a sub-standard supplier. That cuts down wastage and ensures a better outcome in the kitchen and for lead generation. In the kitchen, momentum is essential. You can’t let the pace slip or you get behind and it’s hard to catch up. Momentum is also an underestimated ingredient in the telemarketing process. Without momentum you won’t hit your target. With the constant rejection that shrouds cold calling, it can be hard to stay motivated and keep things flowing. In a busy kitchen, the pressure is always on, and it isn’t always easy to keep your cool. Yet the customer must never know and every meal must be served at a consistent quality that ensures the desired experience. It’s the same on the phone. It doesn’t matter if you’re having a bad morning, the next recipient of your call must receive a positive and consistent experience. Dropping your energy and pace because someone shouted at you or spoke to you in a disrespectful way doesn’t help in the kitchen or on the telephone. In cold-calling terms, chances are you’ve interrupted their busy day which is rarely going to be welcomed with open arms. If you get a particularly negative response and you let it affect you, it will show in the tone of your voice when you make your next call. The recipient will pick up on this straight away and it will impact on the effectiveness of the call and the result. It’s a vicious cycle and it certainly isn’t going to help you in terms of hitting your target. Working as a chef you need confidence in your own abilities. Knowing that you can create something appetising from scratch or handle anything that is thrown at you is a huge part of the job. Creating a new menu that appeals to regular and new customers always presents challenges. A booking you’ve had all week shows up and lets you know, just as they’re placing their order, that they are gluten free and can’t eat anything on the menu. You need the confidence, skill and flexibility to be creative, think on your feet and deal with what’s in front of you. When it comes to senior level lead generation, it’s unlikely you’ll achieve results if you don’t display confidence, creativity and flexibility during the call. When calling large companies, if you sound nervous or like you’re just reading from a script, you won’t even get past the gatekeeper. You need to sound authoritative without sounding rude. It’s a delicate balance to avoid over-confidence and smarminess though. But, why would a gatekeeper put you through and a decision maker engage with you if you aren’t sure of yourself and what you’re offering? Preparing a great meal isn’t just about the raw ingredients. 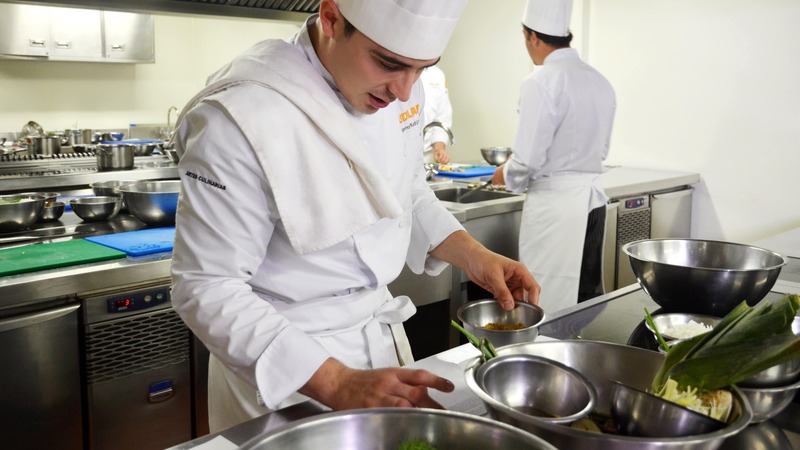 It also isn’t just based on the skills and preparation of the chef. At the end of the day, what’s important is that everyone goes home happy and fulfilled. And that won’t happen unless all of the ingredients in the process come together. This blog was compiled by Ben Francis, ex-chef and telemarketer at GSA. Are you missing big opportunities through lack of customer management?